In 1986, from the efforts of Steve Doyle (1959- ), U.S. Chess Federation (USCF) president from 1984 to 1987, the U.S. Chess Hall of Fame was created at USCF headquarters in New Windsor, New York. In 1986, the first inducties to the U.S. Chess Hall of Fame included Reuben Fine (1914-1993), Robert Fischer (1943-2008), Isaac Kashdan (1905-1985), George Koltanowski (1903-2000), Frank Marshall (1877-1944), Paul Morphy (1837-1884), Harry Pillsbury (1872-1906), and Samuel Reshevsky (1911-1992). In 1987, Sam Loyd (1841-1911) and William Steinitz (1836-1900) were inducted into the U.S. Chess Hall of Fame. In 1988, the U.S. Chess Hall of Fame opened in the basement of the USCF's then-headquarters (1976-2006) in New Windsor, New York. In 1988, Arpad Elo (1903-1992) and Hermann Helms (1870-1963) were inducted into the U.S. Chess Hall of Fame. In 1989, Al Horowitz (1907-1973) was inducted into the U.S. Chess Hall of Fame. In 1990, Dr. Hans Berliner (1929-2017) was inducted into the U.S. Chess Hall of Fame. In 1991, John "Jack"W. Collins (1912-2001) and Arthur Dake (1910-2000) was inducted into the U.S. Chess Hall of Fame. In 1992, the U. S. Chess Trust purchased the U.S. Chess Hall of Fame museum and moved its contents to the U.S. Chess Center, 1501 M. Street, NW, Washington, D.C. In 1992, Arnold Denker (1914-2005), Gisela Gresser (1906-2000), and George Henry MacKenzie (1837-1891) were inducted into the U.S. Chess Hall of Fame. In 1993, Pal Benko (1928- ) and Dr. Victor Palciauskas (1941- ) were inducted into the U.S. Chess Hall of Fame. In 1994, Arthur Bisguier (1929- ), Robert Byrne (1928-2013), and Larry Evans (1932-2010) were inducted into the U.S. Chess Hall of Fame. In 1995, Ed Edmondson (1920-1982) was inducted into the U.S. Chess Hall of Fame. In 1996, Fred Reinfeld (1910-1964) was inducted into the U.S.Chess Hall of Fame. In 1997, Kenneth Harkness (1896-1972) was inducted into the U.S. Chess Hall of Fame. In 1998, Milan Vukcevich (1937-2003) was inducted into the U.S. Chess Hall of Fame. In 1999, Benjamin Franklin (1705-1790) was inducted into the U.S. Chess Hall of Fame. In the late 1990s, Sidney Samole (1935-2000), former owner of Excaliber Electronics, proposed to move the hall of fame to Miami. In July 2000, Sidney Samole died. The U.S. Chess Trust accepted the proposal to move the Chess Hall of Fame to Samole's Excalibur Electronics building at 13755 SW 119th Avenue in southwest Miami-Dade County, off the Florida Turnpike. In 2000, Edmar Mednis (1937-2002) was inducted into the U.S. Chess Hall of Fame. In October 2001, the musueum moved to Miami, Florda. It was located in the Excalibur Electronices headquaters in Miami, in a building shaped like a rook. The museum was renamed the World Chess Hall of Fame and Sidney Samole Chess Museum. The museum continued collecting chess sets, books, tournament memorabilia, advertisements, photographs, furniture, medals, trophies, and journals. The Bobby Fischer (1943-2008) exhibit at the museum was sponsored by Bill and Lois Wall. The museum had a timeline of chess as you enter, hundreds of different chess sets and pieces, a movie theater which runs a movie of chess history and a Pixar chess cartoon, dozens of different chess clocks, a replica of the table used in the first Fischer-Spassky chess match, chess paintings, a gift shop, displays, dozens of chess boards and tables, chess computers and the old Chess Challenger. Outside the museum were bricks with sponsor's names engraved on them (I had a brick with Lois & Bill Wall). There was an Excalibur rock and sword and the entrance was shaped like a rook. Al Lawrence is the Executive Director of the museum. Regina Del Cid was the executive assistant. Gilberto Luna was the USCF Coordinator. Sharon Samole was in charge of membership. The Grandmaster Charter members and display sponsors included myself (Bill Wall), Floyd & Bernice Sarasohn, Robin Steigman, Jim and Helen Warren, Fred Bristol, Stephen Doyle, Jim Eade, Robert McCray, John Mingos, Stan Samole, Arnold Denker, Frank Camaratta, and Stanley & Bernice Mestel. In 2001, Lubomir Kavalek (1943- ) was inducted into the U.S. Chess Hall of Fame. In 2001, representatives of the World Chess Federation (FIDE) nominated inductees for the World Chess Hall of Fame. In 2001, Jose Raul Capablanca (1888-1942), Robert Fischer (1943-2008), Emanuel Lasker (1868-1941), Paul Morphy (1837-1884), and William Steinitz (1836-1900) were inducted into the World Chess Hall of Fame (WCHOF). In 2003, Lev Alburt (1945- ), Walter Browne (1949-2015), and Donald Byrne (1930-1976) were inducted into the U.S. Chess Hall of Fame. In 2003, Mikhail Botvinnik (1911-1995), Tigran Petrosian (1929-1984), Vasily Smyslov (1921-2010), Boris Spassky (1937- ), Mikhail Tal (1936-1992) were inducted into the WCHOF. In 2004, Anatoly Lein (1931- ) and Leonid Shamkovich (1923-2005) were inducted into the U.S. Chess Hall of Fame. In 2004, Alexander Alekhine (1892-1946), Max Euwe (1901-1981), and Anatoly Karpov (1951- )were inducted into the WCHOF. In 2005, Garry Kasparov (1963- ) was inducted into the WCHOF. In 2006, Yasser Seirawan (1960- ) was inducted into the U.S. Chess Hall of Fame. In 2007, Irving Chernev (1900-1981) and Jeremy Gaige (1927-2011) were inducted into the U.S. Chess Hall of Fame. In 2008, Joel Benjamin (1964- ), Larry Christiansen (1956- ), and Nick de Firmian (1957- ) were inducted into the U.S. Chess Hall of Fame. In 2008, Siegbert Tarrasch (1862-1934) was inducted into the WCHOF. In 2009, the World Chess Hall of Fame and Sidney Samole Museum closed down. In 2009, John Fedorowicz (1958- ) and Burt Hochberg (1933-2006) were inducted into the U.S. Chess Hall of Fame. In 2009, Dr. Jeanne and Rex Sinquefield founded the not-for-profit Chess Club and Scholastic Center of Saint Louis (CCSCSL). In 2010, philanthropist Rex Sinquefield (1944- ) agreed to pay for moving the museum to St. Louis and renovating its new building. In 2010, Diane Savereide, Jackson Showalter (1859-1935), and Herman Steiner (1905-1955) were inducted into the U.S. Chess Hall of Fame. On September 8, 2011, the WCHOL moved to 4652 Maryland Avenue, St. Louis, Missouri. It moved across the street from the Chess Club and Scholastic Center of Saint Louis in the city's West End neighborhhod. The WCHOL resides in a three-story, 15,900 square-foot, building with most of the hall of fame memorabilia resides on the 3rd floor. The 1st and 2nd floor is for exhibits. The first floor also has the Q Boutique at the World Chess Hall of Fame. It specialzes in custom chess merchandise. The exhibit rooms can accomodate up to 100 people. From September 9, 2011 to February 12, 2012, a contemporary art exhibition has held at the World Chess Hall of Fame. It was curated by Bradley Bailey, assistant professor of modern and contemporary art history at Saint Louis University. It featured artworks that consider chess both at the formal level and at the level of actual play. The artists featured in this exhibition were Tom Friedman, Barbara Kruger, Liliya Lifanova, Yoko Ono, Gavin Turk, Diana Thater, and Guido van der Werve. On the exhibit's opening night, Dutch contemporary artist, Guido van der Werve, performed on a one-of-a-kind chess piano that he built. The piano sounded a note as each chess piece was played, while nine string musicians from the Saint Louis Symphony played van der Werve's score. On closing night, the Contemporary Art Museum St. Louis hosted an event featuring Liliya Lifanova's performance art piece Anatomy is Destiny, one of the pieces in the exhibition. On view from September 9, 2011 to February 12, 2012, this exhibition celebrated Dr. George and Vivian Dean's 50th year of collecting together and featured selected works to trace the development of the game of chess and the design of fine chess sets from the tenth to the early twentieth century. Sets came from Austria, Cambodia, China, England, France, Germany, India, Italy, Japan, Kashmir, Morocco, Persia, Russia, Syria, and Turkey. Among the works displayed were pieces owned or commissioned by Catherine the Great, Napoleon, Czar Nicolas II, and the British royal family. In 2011, Boris Gulko (1947- ) and Andy Soltis (1947- ) were inducted into the U.S. Chess Hall of Fame. In 2011, Vera Menchik (1906-1944) was inducted into the WCHOF. On view from March 9, 2012 to August 12, 2012, Marcel Dzama's artistic works were on display, including films, related drawings, paintings, sculptures, and dioramas. Dzama's work draws from a diverse range of references and artistic influences, including Dada and Marcel Duchamp. His film features characters based on the classic game of chess. Dressed in geometrically designed costumes of papier-mache, plaster, and fiberglass and wearing elaborate masks (including a quadruple-faced mask for the King), the figures dance across a checkered board to challenge their opponents in fatal interchanges. On view from March 9, 2012 to October 7, 2012, the Bobby Fischer exhibition featured photographs by Harry Benson, the only person to have private access to Bobby Fischer during the entire 1972 World Chess Championship match in Reykjavik, Iceland. Benson captured intimate images of Fischer and was the first person to deliver the news to Fischer that he had won the match. On view from September 13, 2012 to February 10, 2013, the Screwed Moves exhibition featured nine of Saint Louis' most recognized artists, known as The Screwed Arts Collective, who worked together over a two-week period to produce a one-of-a-kind, site-specific wall drawing inspired by chess. On view from October 18, 2012 to April 14, 2013, the Chess in Populare Culture took a playful look at how the ancient sport is represented in our contemporary culture by showcasing the game of chess as it has been featured in such mass media as magazine advertisements, rock music and movie posters, and other popular venues. On view from October 18, 2012 to April 21, 2013, the Power in Check: Chess and the American Presidency explored how chess has influenced the American presidency since the administration of George Washington. I contributed much of the information and hstory on U.S. Presidents and chess to this exhibition. 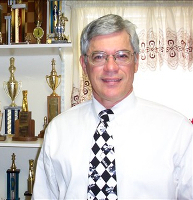 In 2012, Alex Yermolinsky (1958- ) was inducted into the U.S. Chess Hall of Fame. In 2013, Gregory Kaidanov (1959- )and Mona May Karff (1908-1988) were inducted into the U.S. Chess Hall of Fame. On view from March 7, 2013 to August 25, 2013, this humanities exhibition featured the work of Bill Smith, which explores how rules guide the creation of our world's structure and behavior. In order to highlight the intersection of art, chess, and nature, Smith used art to show the underlying similarities of all things. His videos and constructions gave a holistic view of the world by presenting the ubiquitous patterns and interactions common to music, games, technology, animals, molecules, and the galaxy. On view from May 3, 2013 to September 15, 2013, this Highlights from the Jon Crumiller Collection showcased over eighty beautiful, antique chess sets from across the centuries and around the world, as well as many interesting artifacts related to the history of chess. On view from October 19, 2013 to April 19, 2014, the Queen Within exhibition explored the archetypes of a queen. Works from experimental designers highlighted the queen archetypes in fashion and identified the relationships with the cultural collective unconscious and traditions of storytelling. Curated by independent curators, Sofia Hedman and Serge Martynov. On view from October 25, 2013 to July 13, 2014, the Jacqueline Piatigorsky: Patron, Player, Pioneer exhibition explored Jacqueline Piatigorsky's position as one of the best female chess players of the 1950s and 1960s, as well as her support of the game as a patron. It featured artifacts from her personal archive. Highlights included the Piatigorsky Cup, photos from the 1963 and 1966 Piatigorsky Cup tournaments, and artifacts and photos related to Piatigorsky's impressive career in women's chess. In 2013, Elisveta Bykova (1913-1989), Mikhail Chigorin (1850-1908), and Nona Gaprindashvili (1941- ) were inducted into the WCHOF. On view from May 8, 2014 to September 21, 2014, the Cage & Kaino exhibition is accompanied by live performances of the work of 20th-century composer, John Cage, and contemporary multimedia artist, Glenn Kaino. Curated by independent curator, Larry List. On view from May 8, 2014 to September 28, 2014 the Strategy by Design: Gamesby Michael Graves, exhibition focused on the games designed by the Michael Graves Design Group. Curated by independent curator, Bradley Bailey. On view from July 24, 2014 to June 7, 2015, the Bobby Fischer exhibition focused on the career of Bobby Fischer, considered one of the greatest American chess players of all time. From October 9, 2014 to April 26, 2015, the Living Like Kings: the Unexpected Collision of Chess and Hip Hop Culture exhibition was held. In 2014, Abraham Kupchik (1892-1970) and Jacqueline Piatigorsky (1911-2012) were inducted into the U.S. Chess Hall of Fame. In 2014, Maia Chiburdanidze (1961- ) and Paul Keres (1916-1975) were inducted into the WCHOF. In 2014, the United States Senate declared Saint Louis the national capitalof chess due to the World Chess Hall of Fame and the Chess Club and Scholastic Center of Saint Louis. From May 14, 2015 to October 18, 2015, the Marcel Dzama: Mischief Makes a Move exhibition was held. Art, dance, and chess all come together in a surreal way. From May 14, 2015 to October 18, 2015, a Jon Crumiller Chess Collection exhibition was held. Antique ivory chess sets and boards were on display. From June 25, 2015 to January 17, 2016, the Battle of the Board: Chess during World War II exhibition was held. The exhibition included prisoner of war chess sets and World War II posters and ads with a chess theme. In 2015, Alexander Shabalov (1967- ) was inducted into the U.S. Chess Hall of Fame. In 2015, Olga Rubtsova (1909-1994), Lyudmila Rudenko (1904-1986), and Carl Schlechter (1874-1918) were inducted into the WCHOF. From September 29, 2016 to April 15, 2017, an exhibition called Open Files: Celebrating FiveYears of Collecting was held. It honored some of the donors from the past five years as well as illustrating the diversity of its collection. From October 29, 2015 to May 1, 2016, the Ladies' Knight: A Female Perspective on Chess exhibtion was held. The exhibition presented works by Crystal Fischetti, Debbie Han, Barbara Kruger, Liliya Lifanova, Goshka Macuga, Sophie Matisse, Yoko Ono, Daniela Raytchev, Jennifer Shahade, Yuko Suga, Diana Thater, and Rachel Whiteread. Their diverse interpretations of the game range from the playful and feminine to the serious, and encourage dialogue about subjects like crime, language, peace and conflict, and inequality. On April 13, 2016, David Bronstein (1924-2006), Sonja Graf-Stevenson (1908-1965), and Howard Staunton (1810-1874) were inducted into the WCHOF. Maurice Ashley (1966- ) and Gata Kamsky (1974- ) were inducted into the U.S. Chess Hall of Fame. From February 4, 2016 to September 4, 2016, an exhibition called Her Turn: Revolutionary Women of Chess was held at the WCHOF. It celebrated the legacies of some of the greatest female chess players. From May 19, 2016 to September 11, 2016, an exhibition called Tom Hackney: Corresponding Squares: Painting the Chess Games of Marcel Duchamp was held. British artist Tom Hackney translated the chess games of Marcel Duchamp into vivid geometric abstractions. From September 29, 2016 to March 12, 2017, an exhibition called Animal, Vegatable, Mineral was held. It featured the natural splendors from the chess collection of Dr. George and Vivian Dean. It included a Fabrege Chess Set and a Rock Crystal Chess Set. From September 29, 2016 to March 12, 2017, an exhibition called Designing Chessmen: A Taste of the Imagery of Chess was held. Works of John Cage, Alexander Calder, and Marcel Duchamp were on display. From March 23, 2017 through September 24, 2017, the WCHOL will have an exhibtion on the 1st floor called The Imagery of Chess: Saint Louis Artists. It features 20 leading local artists, writers, designers,musicians,and composers and their artwork and performance inspired by the game of chess. I attended the public opening reception on March 23 and was quite impressed by the large turnout. I also met GM Yasser Seirawan, grandmaster-in-residdence to the Saint Louis Chess Club, GM Wesley So, and Rex Sinquefield. All three attended the event. From March 23, 2017 through September 17, 2017, the WCHOL will have an interactive exhibition on the 2nd floor entitled, POW! Capturing Superheroes, Comics & Chess. It features over 200 chess-related comic books (the actual comic books), superhero chess sets like the DC and Marvel collection of comic book characters, illustration stations, costumes, and a photo booth. Some of the rare comic books were on loan from major chess collector Bernice and Floyd Sarisohn, as well as Jeff Penning. There was also written contributions from Roy Thomas, former Editor in Chief at Marvel Comics, and Michael Tisserand, author of Krazy: George Herriman, A Life in Black and White. Shannon Bailey, chief curator, and Emily Allred, assistant curator, were very helpful in showing me around both exhibits and helping me update my article on chess and comics. e. The current members of the Hall of Fame Committee include Harold Winston (Chairman), International Master John Donaldson, John McCrary, Al Lawrence, GM Joel Benjamin, GM Arthur Bisguier, John Hilbert, Jennifer Shahade, and Shane Samole. In 2017, Paula Kalmar-Wolf, Alla Kushnir, and Viktor Korchnoi will be inducted in the World Chess Hall of Fame and join the 27 other world members. Edward Lasker will be inducted in the U.S. Hall of Fame and join the 57 U.S. members. The World Chess Hall of Fame has had over 60,000 visitors since its opeing in 2011. It is free and open to the public in a very nice location. The hours are 10 am to 5 pm on Monday, Tuesday, and Saturday. It is open from 10 am to 9 pm on Wednesday, Thursday, and Friday. It is open from noon until 5 pm on Sunday.